Two more budget Android phones from Intex, Intex Cloud X5 and Intex Aqua N2 got listed on its website today priced at Rs. 7,900 and Rs. 4,800 respectively. 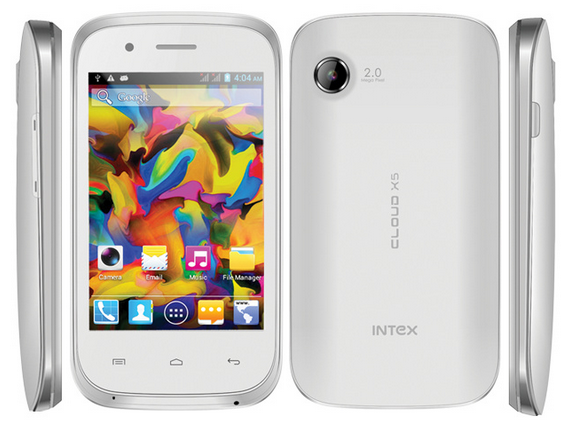 Weird thing is that some time back Intex launched Intex Cloud X4 priced at Rs. 4,590 which has similar Chipset specifications, 3G support and a better camera as compared to Cloud X3. Intex Aqua N2 comes with a 4 Inch FWVGA display, giving you 280 pixels per inches which is comfortably above average at this price range. This phone will be powered by 1.2 GHz dual core processor which will be backed by a 512 MB RAM and 4 GB of internal storage out of which only 850 MB will be available at the users end. MicroSD support is present up to 32 GB. This battery capacity is little disappointing at 1400 mAh which will give you 5 hours of talk time. The phone sports a 5 MP camera at the back which is the most MT6572 SoC can handle. A VGA camera is present at the front for video calling. 3G support is present in this smartphone. 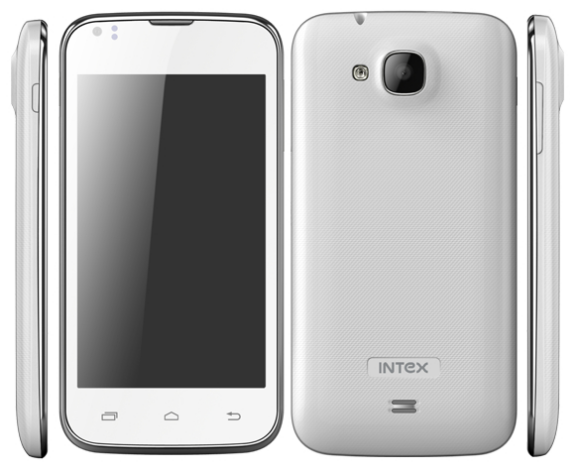 Intex Cloud X5 bears basic specifications including a 3.5 inch Display with 320 x 480 pixels. The processor is 1 GHz Dual core MT6592 backed by 256 MB of RAM and 512 MB of ROM out of which only 106 MB will be available at users end. It comes with with a 2 MP fixed focus camera at the back and a VGA camera at the front. The battery capacity is 1300 mAh which Intex claims will give you standby time of 220 hours and 5 hours of talk time. The phone does not have 3G support. Both of these phones come with Dual SIM support and Android 4.2 jelly bean operating system which will give good first time experience to first users. The internal memory offered by both of these phones is not pretty impressive. Intex Cloud X4 with 3G support seems like a better option at this price range. Those looking for competition can consider recently launched Zen Ultraphone 502.